Which are the best Free walking tours in Krakow, Poland? Krakow, in the south of Poland, is a delightful mix of characters and atmospheres; a vibrant and buzzing modern University city with a fairy-tale-like medieval heart, Gothic architecture, and an Old-town situated around an impressive plaza that was a significant Renaissance-era centre of trade. 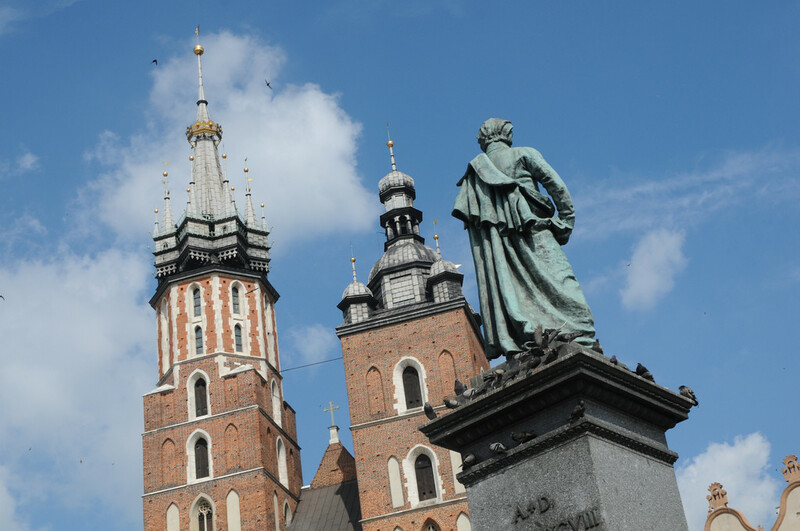 There’s fascinating legacies of ancient and recent history everywhere you turn in Krakow, and so much to get to grips with here – so a Krakow free walking tour with a professional local tour guide is certainly a must-do for an unrivalled insight to local culture, heritage and history. There are a few different tour providers to choose from, so to save you some research time, here is our expert pick of the best free walking tours in Krakow. Good Cracow Tours offer two free tours in Krakow, their Old Town Free Tour and Jewish Quarter tour. The Old Town tour is an essential as the district is a definite highlight of the city with so much to see & discover – not least St. Mary’s Basilica, Cloth Hall, Barbican, Town Hall Tower, and Wawel Royal Castle; all this and much more is included on this Krakow city tour as well as in-depth and insightful local knowledge from the excellent and passionate tour guides. The tour lasts around two and a half hours and is available in both English and Spanish languages every day at 10:15 A.m., with afternoon tours also available during Summer season. 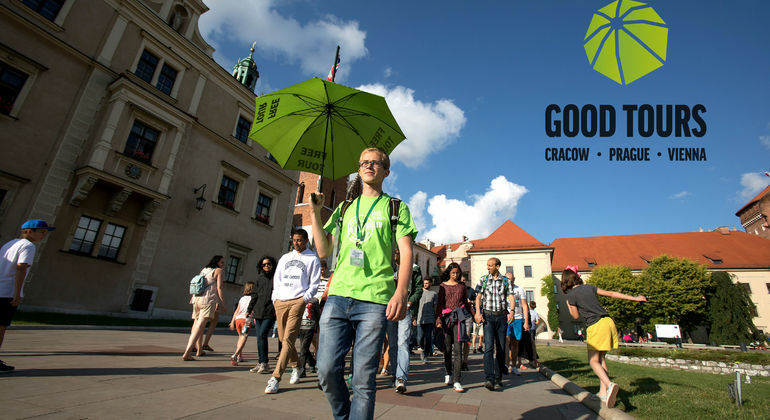 You’ll meet the guides, wearing lime green shirts, in front of Mary’s Basilica on the main square Rynek Główny 4, 33-332 Kraków, Polska. As mentioned above, Good Cracow Tours also run a free walking tour of the Jewish district in Krakow, and it is certainly worthy of exploring and learning more about as it harbours fascinating history. Kazimierz was home to the largest Jewish community in the world and one of co-existence with local ethnic Polish population for centuries. It is now a trendy area teeming with chic shops, hip cafes and galleries; but this place’s dark history is that which informed the WWII themed film, Schindler’s List and saw the forcible relocating of Jews by German occupying forces into Podgórze, the Krakow ghetto, in 1941. This tour runs every day at 10:30 P.M. and 3 P.M. and in Spanish at 3:30 P.M. There are other companies offering free tours of the Krakow Jewish quarter too, such as Cracovia Walking Tours who meet at Little Market Square, near Sienna St, behind St Mary´s church at 10A.M. on Tuesdays, Fridays, and Saturdays so you’re sure to have a few options to suit your schedule. Any free tour of the Jewish quarter includes the essential sites and stories, such as Kazimierz Synagogues, the Holocaust Memorial and Jewish Cemetery, Bridge of Love and Heroes of Ghetto Square and plenty more besides. AFree Walking Tour Foundation also offer a Krakow Old Town free tour and Jewish tour, but they also offer free tours around other topics; Macabre Krakow, Krakow Street Art, and World War 2 In Krakow – so there is plenty of different free tour experiences to check out in this remarkable city. Of course, you can always consider booking a private walking tour in Krakow to suit your itinerary and this can be an ideal option for groups, couples or even individuals on a tighter schedule. Each of the above mentioned providers offer private Krakow city tours, and at competitive rates too. Do I need to book a free tour in Krakow? 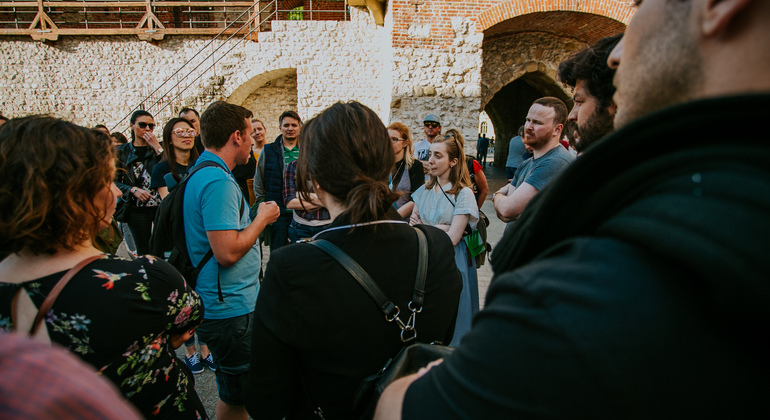 Usually you’ll be able to join free tours on arrival to the meeting point, but Krakow is growing in popularity for visitors, so booking your tour via the tour provider’s website, or on Freetour.com or the Freetour app, is highly recommended. Be sure to take note of any ‘no-show’ or cancellation policies that Krakow city tour providers might display when booking online. Free tours mean you get an unbeatable quality tour with professional local tour guides and you decide what to pay at the end. A good way to value the tour is to gauge it against what a conventional paid Krakow city tour would cost you, how much you enjoyed the experience, and what you can afford to give. So, how much should you give free tour guides in Krakow? The cost of a general paid walking tour in Krakow ranges from €14 to €35 per person at the lower to mid-range, and as high as €65 to €90+ per person at the higher-end of the tour market. Our research with local Krakow free tour guides shows tips are often between €12 and €28 per person, so an average of €20 is considered appropriate, depending on your valuation of the experience and budget. That’s our recommendations for the best free walking tours in Krakow, and we highly recommend getting insider local tips from your city tour guide for things to do and see after your tour, they can mark the best places to eat, shop, and places to visit on your free Krakow walking tour map too – easy peasy!